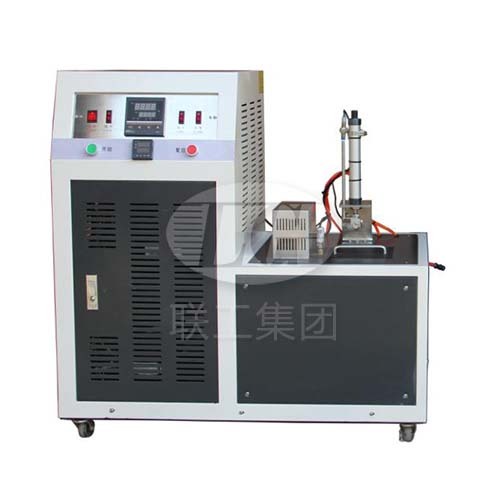 Rubber low-temperature brittleness tester is to test vulcanized rubber’ highest temperature when sample impact damage under prescribed conditions,that is brittleness temperature, according to GB/T 1682-94 “vulcanized rubber low temperature brittleness single sample method” national standards and ISO 812 standards. It can make a comparative identification for plastic and elastic materials using performance under the condition of low temperature, and can test different rubber material or different formulations of rubber brittleness temperature and low temperature performance strengths and weaknesses. So no matter in the scientific research materials and its products quality inspection, production process control, etc are indispensable.